Ceiling Mount Kit is an essential accessory for your costly projector, this state-of-the art Universal ceiling mount kit comes in attractive white powder quoted finish. This professional projector Mount kit is a universal mount kit. It is compatible with virtually any projector that has threaded mounting holes. The projector ceiling mount is attractive, strong and light weight. It offers the latest design in safety, flexibility and value for many of today's most popular LCD, LED projectors. We are offering a wide range of Projector Ceiling Mount Kit. Egate Ceiling Mount Kit is an Essential accessory for your costly projector. These are mated for most of the projectors available in market, making it one of the most universal kit available in the market. Sleek & Stylish design, only 300 gm. Attractive to go with your great interiors. 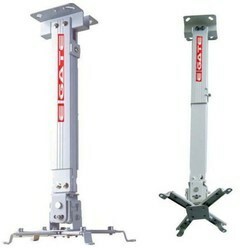 Very sturdy and long lasting, load upto 8 KG. With 360 degree rotation and tilt. Full steel body - Rust and scratch proof. Ideal for any projector with single screw mount design. Only mount kit in India for LED-DLP. Most easy to install, single screw design. We are offering a wide range of Projector Mounts. EGate Ceiling Mount Kit is an Essential accessory for your costly projector. These are matted for most of the projectors available in market, making it one of the most universal kit available in the market. Only mount kit in India for LED - DLP. 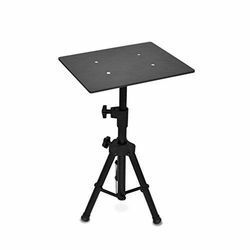 We are offering a wide range of Projector Stand.